the quality is good. it is easy to wash.
"my lil one liked the bottle a lot, but water spills from the bottle its quite messy if i keep it in my purse"
I purchased this product when my daughter was 8 month old. She immediately loved this sipper and from then till now (after almost 2 and a half month) we use it everyday. No major issues faced till so far. Sometime while traveling if lid is opened a little bit then it leaks a bit. Otherwise superb product. I purchased this sipper for my 12 month old daughter and she loves it. Not to heavy for her and quality of the plastic is really good. The cover for the straw is the best part to keep it free from dust and germs. Baby can hold it easily. Easy to clean. Have to close the lid very tight to avoid leakage. 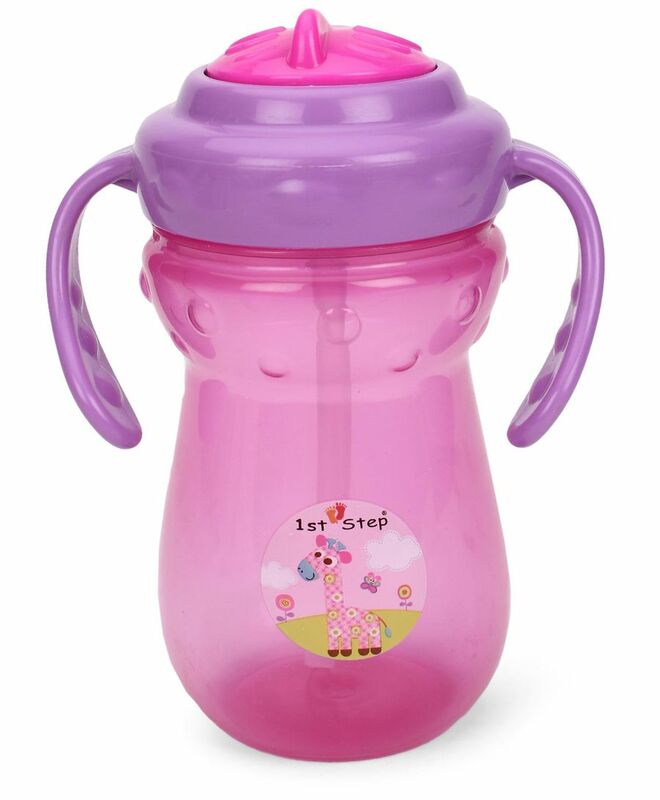 "Amazing Product and worth for money"
After searching and researching a lot, I ordered this sipper for my Son. I was looking for sumthng which is leak proof and easy to clean. And mainly not soo expensive as I would be using only when I go out. This sipper is very good. Doesnt leak and also easy to use and clean. Very good BPA free plastic used. And colour is very cute. My son totally luvs this.